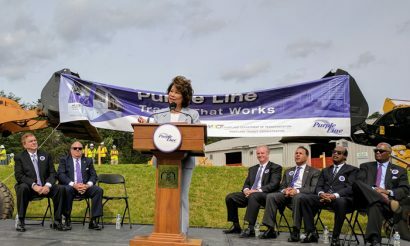 The Federal Transit Administration has announced a $900 million federal grant agreement for the Maryland Purple Line Light Rail Project. The U.S. Department of Transportation’s (US DOT) Federal Transit Administration (FTA) has announced a $900 million federal grant agreement for the Maryland Purple Line Light Rail Project. The 16.2-mile Maryland Purple Line will make travel across Montgomery and Prince George’s counties faster and more reliable for thousands of Maryland residents, improving access to major business and activity centres in the state’s most populated counties.